Reiki Shield is made by visualization. There are many complex ways of making a shield. I use a very easy method, which has worked for me always. Nothing is easy or difficult for the Universe or for the Universal Energy; nor does time exist in other dimensions as it does for humans in the third dimension. In the Dimension from which the Universal Energy Flows and Creates, just the intention is enough. So this is how I do it. 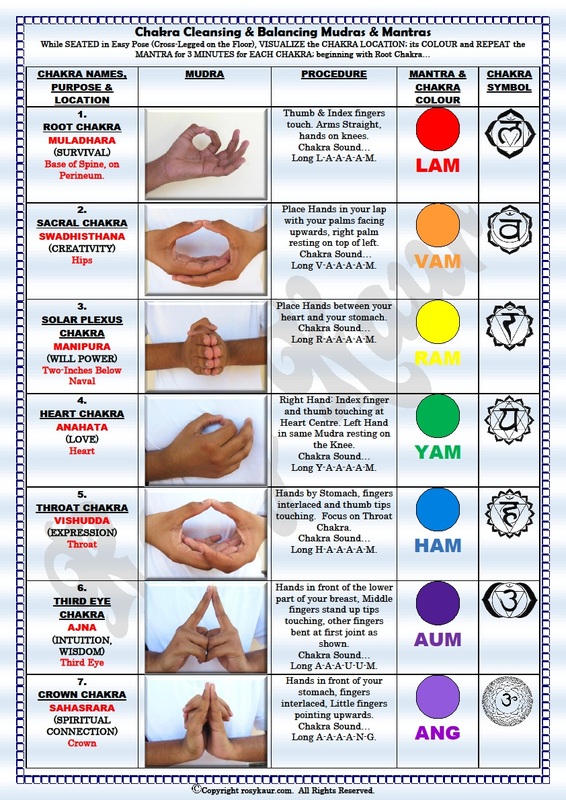 Usually you can first do your Chakra Balancing with the Mantras shown here on the CHAKRA CLEANSING & BALANCING CHART. Therefore, I would already be sitting on the floor, after Balancing my Chakras. Now, to make a Reiki Shield, I put my right hand at my Heart Chakra. And left hand on top of the right. Or, if you wish you can join your hands in prayer mudra; whichever appeals to you. GIVE THANKS: I THANK REIKI, THE UNIVERSE, MY PARENTS & TEACHERS, AND MYSELF (INSERT YOUR NAME). AND MY INTENTION IS: I CALL UPON THE POWER AND WISDOM OF REIKI TO MAKE A STRONG SHIELD AROUND MY AURA THAT PROTECTS ME AND ENERGIZES ME ALWAYS. THANK YOU REIKI, THANK YOU UNIVERSE. Now, visualize, a point of powerful white light at the center of your Heart Center, expanding outwards in a sphere. Make this sphere as big or as small as you would like. You are the creator here. As a warrior chooses his/her shield when going out to battle field, so should you choose how big or small you wish your Aura Shield to be. You can set a time for yourself 3 to 5 minutes, for daily Shield. After 3 Minutes of Reiki flowing in, say BLESS AND DISMISS. This is to dismiss the Powers assisting you. 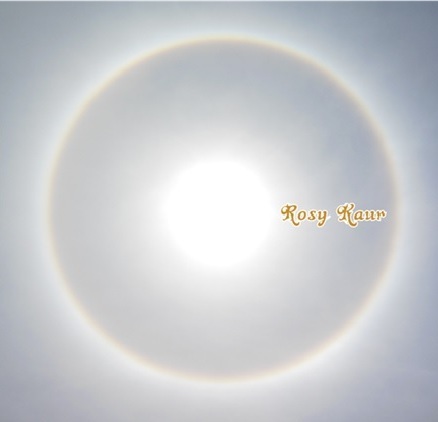 Categories: Reiki | Tags: REIKI SHIELD | Permalink. Hi there Beautiful Spirit!!! Your articles are GREAT!!! Thank you!! Keep doing the great work. I am learning so much about Reiki. Love it, love it, love it!! Bunches of Love and light to you & everything connected to you!